Sony Corporation (NASDAQ: SNE), commonly known as Sony is a multinational conglomerate company that was founded on May 7, 1946 by Masaru Ibuka with a headquarters in Kōnan Minato, Tokyo, Japan. It is one of the leading manufacturers of electronic products for consumer and professional markets and ranks as number 105 on the 2014 list of Fortune Global 500. Sony is a diversified business that focuses on electronics (gaming consoles, TV, refrigerators), game, financial, and entertainment sectors and has a net worth of $18.6 billion. Sony Corporation gave rise to the Sony Group, which has four operating segments: motion pictures, music, financial services, and electronics (medical business, network services, and videogames). Within the next three years, Sony hopes to boost its profit 25 fold. It hopes to accomplish this goal by focusing more on devices, games, and entertainment. 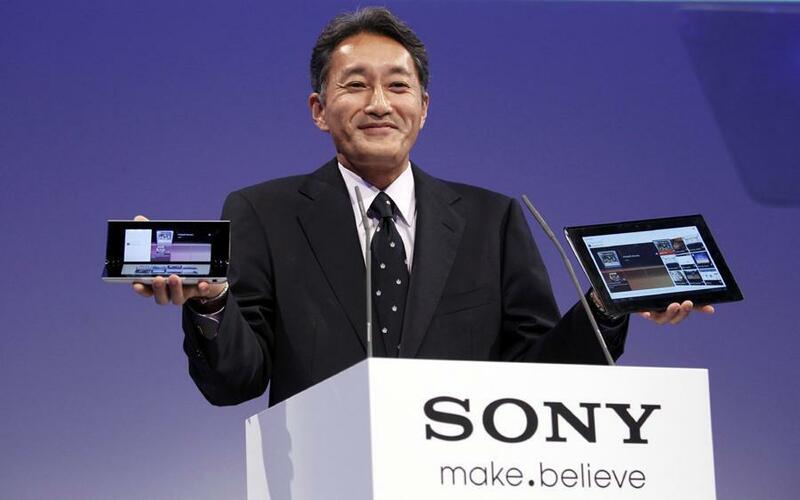 The president and CEO of Sony, Kazuo Hirai, outlined his strategy from this year until 2018 stating on February 18, 2015 that the company would give its subsidiaries more autonomy in decision making in order to help drive growth. The president set a target operating profit of $4.2 billion dollars for the financial year ending in March 2018. The target profit is quite a leap from its $167 million forecast for its current financial year ending March 31. Sony intends on focusing more on its fast-growing business subsidiaries like movies, music, and the Play Station gaming consoles to reach its goal in which its sales have been strong. It plans on spinning off its video and sound segments into wholly owned subsidiaries this year. The spinning off may not end with video and sound segments, Hirai has mentioned that he has not “ruled out” the of splitting out of other business units in the foreseeable future. The competition from Apple Samsung Electronics, and emerging Asian rivals has been intense increasing Sony’s chances of exiting from the smartphone and television sectors according to one of the company’s statements since its profits in these sectors have been losses for the company. Sony’s strategy transformation was motivated by the cut-throat competition that Japan has which has forced many of its Japanese peers to restructure their business strategy after facing losses. The company’s revamp has already begun to pay off. After announcing its revamp, the company’s stock has increased by roughly 86 percent over the past year as investors supported its restructuring. And this month, it forecasted a net profit instead of a net loss (for the sixth year in seven years) in its 2014-2015 financial year by a smaller amount than previously expected. “The strategy starting from the next business year will be about generating profit and investing for growth,” explained Hirai at a briefing. Very few expect Sony to bounce back to the days when its Walkman and Trintitron TV defined how people around the world consumed entertainment. However, analysts believe that the company could better utilize its current gadgets and access to Hollywood content. The company plans on benchmarking its performance by using return on equity (ROE) and is setting a target of over 10 percent by the end of the business plan to March 2018.